Arsenal need to get back to winning ways and maintain the pressure on the top four with a win over Cardiff City this evening. 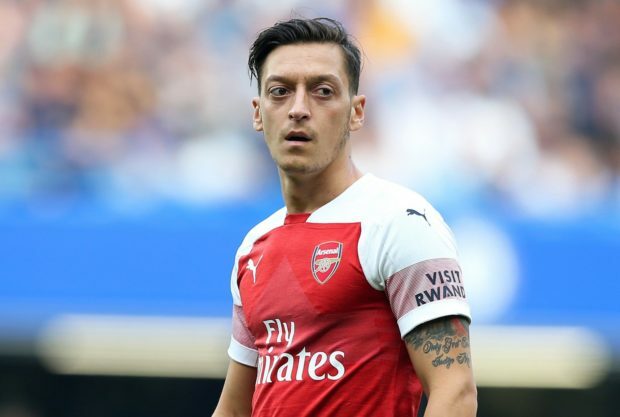 Mesut Ozil starts as captain tonight with Alex Iwobi making way while Mohamed Elneny and Matteo Guendouzi also get recalls in midfield with Granit Xhaka and Aaron Ramsey given a rest. Stephan Lichtsteiner comes in for Ainsley Maitland-Niles at right-back while Nacho Monreal gets the nod alongside Shkodran Mustafi in the middle of the back four. Dinos Mavropanos is named on the bench. Leno, Lichtsteiner, Mustafi, Monreal, Kolasinac, Guendouzi, Elneny, Torreira, Ozil, Lacazette, Aubameyang. Etheridge, Peltier, Ecuele Manga, Bamba, Bennett, Gunnarsson, Paterson, Arter, Ralls, Reid, Niasse.